We all know that finished embroidery pieces make great gifts, but how about gifting an embroidery pattern PDF? For many embroidery lovers, a PDF pattern that they can create on their own is the perfect gift! While a digital PDF file hardly makes for an exciting or creative gift, there are some simple ways to dress it up. I’ve got three easy ideas for turning a PDF pattern into a lovely gift that anyone would be delighted to send or receive. Embroidery Pattern PDF Gift Idea #1: Fun with Folders! This gift idea is simple, affordable, and highly customizable. 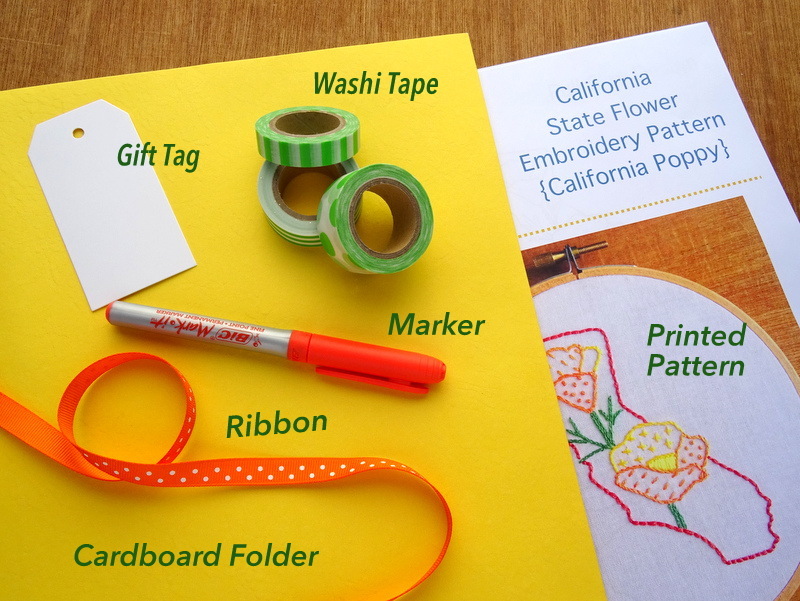 Using a cardboard folder, a bit of ribbon and some Japanese Washi tape you can create a personalized gift in minutes. 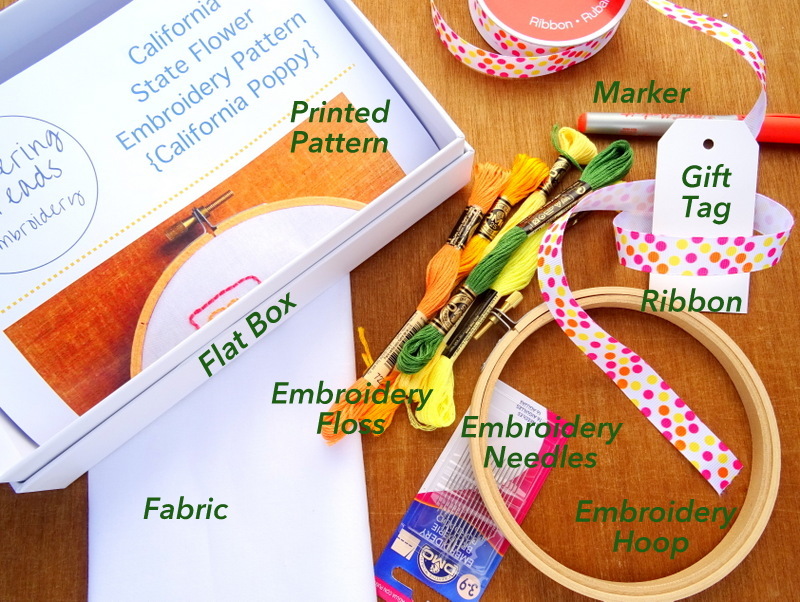 Put it all together by tucking the printed PDF embroidery pattern inside the folder, decorating the outside with Washi tape, affixing a gift tag and tying it all up with a colorful ribbon. Embroidery Pattern PDF Gift Idea #2: Roll it Up! 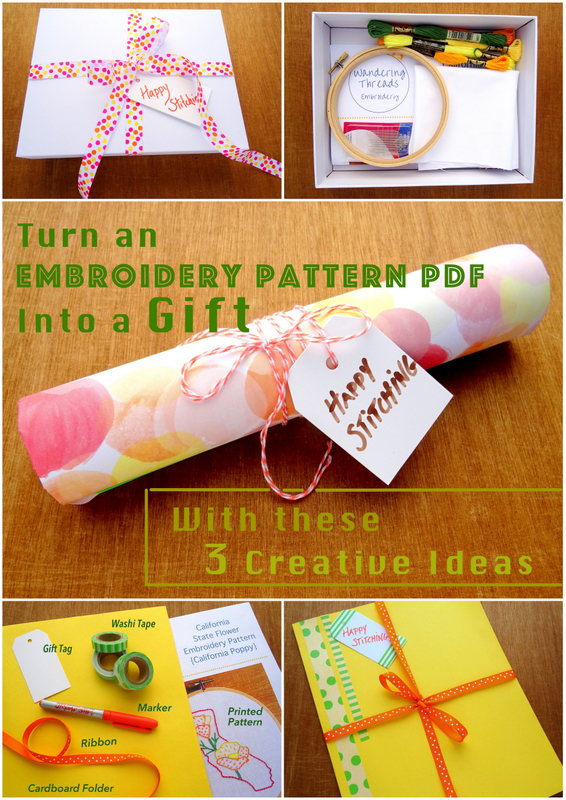 Gift idea #2 is another simple and creative way to turn a PDF pattern into a unique gift. Scrapbook paper in nearly every color and pattern imaginable can be found at most craft stores and makes the perfect wrapper for a printed PDF pattern. 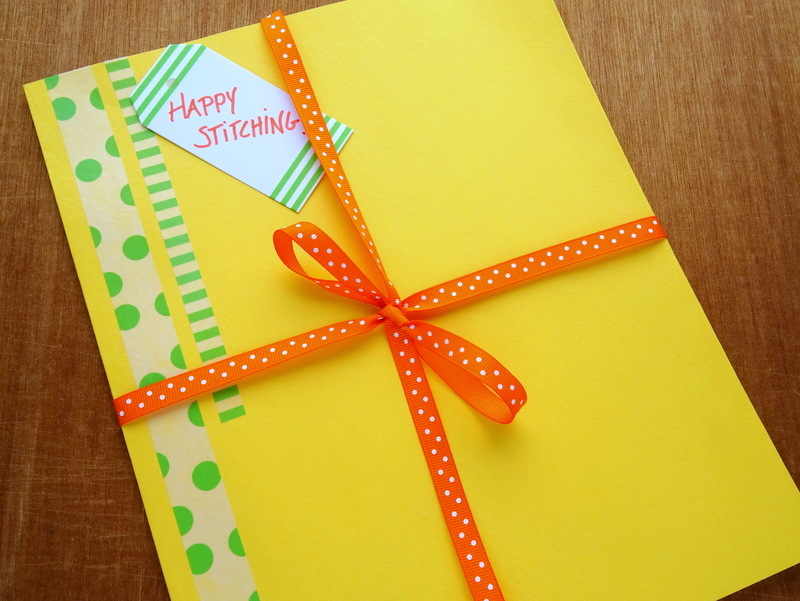 To create this gift idea, simply roll up the pattern and scrapbook paper with the colorful paper on the outside. If the outer paper is longer than the inside pattern, tuck the overlap inside the rolled tube. 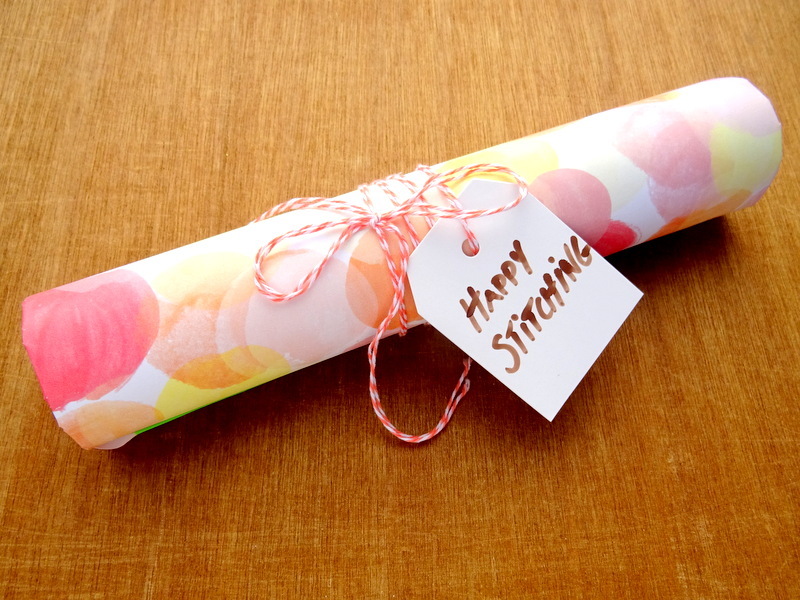 Wrap a ribbon or some twine around the rolled gift, affix a tag and you have a super simple and attractive gift! Embroidery Pattern PDF Gift Idea #3: Make a Kit! 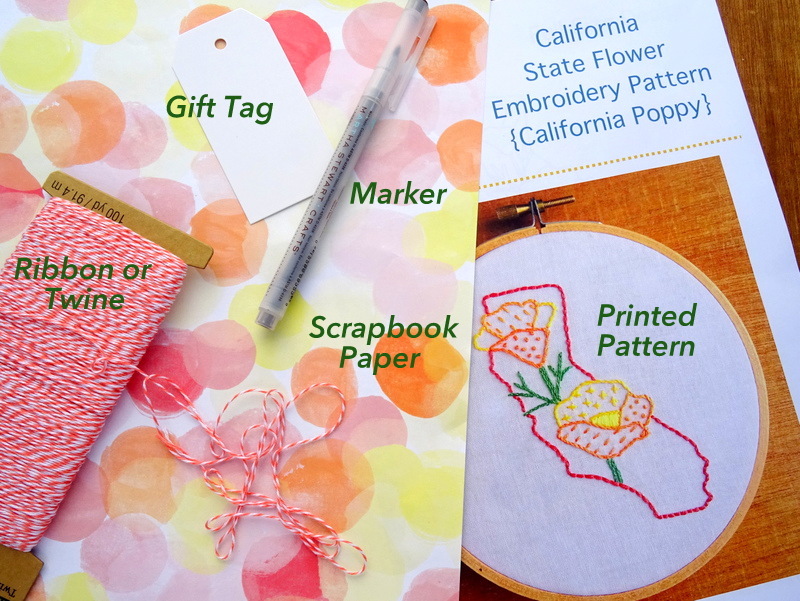 For a really special gift, purchase a few additional items and turn the printed embroidery pattern PDF into a full kit with everything needed to complete the project. 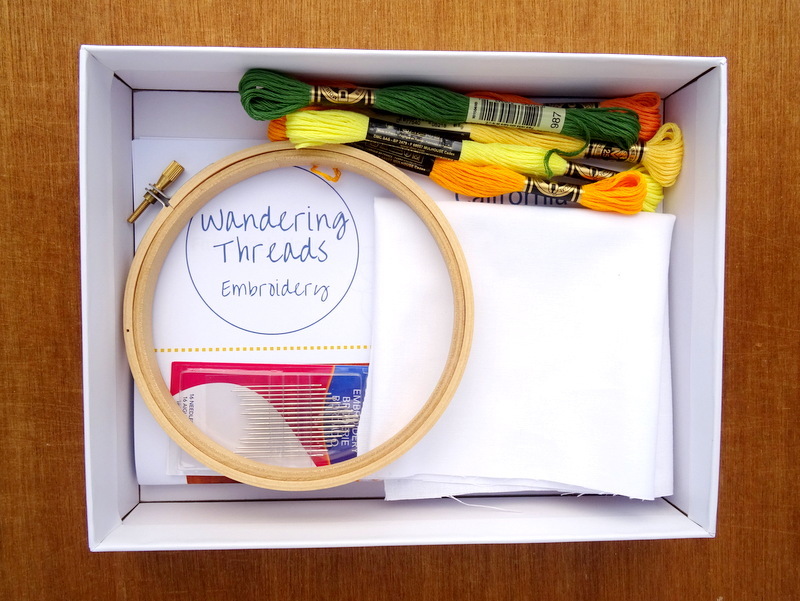 This idea is perfect for beginners or those who might not have all the necessary embroidery supplies. Of course, even the most experienced embroidery enthusiasts will appreciate a few new supplies. 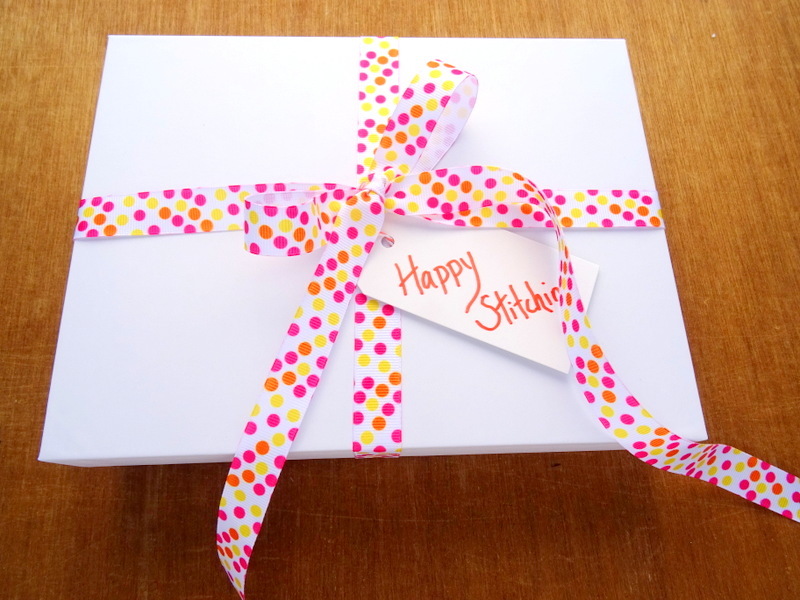 Place all the items in the box, close it up and complete the gift with a fun ribbon and gift tag. This post contains Amazon affiliate links. I receive a small portion of funds when you purchase items through these links. The price you pay is the same, and all the money goes to support this site. Thanks so much for learning and stitching with me!